Helen M. Heideman As members of her family circled her bed and prayed with the Hospice Chaplin, Helen Heideman passed away on Friday, May 11, 2018 at her home in Hermiston, Oregon. They shared the moment of her death and rejoiced in her release from earthly pain and suffering knowing she would be joining her beloved husband and family members who had passed before her. Helen was born February 3, 1929 in Cheney, Washington to parents LeRoy and Vera Woody, joining siblings Lyle, Loren and Letha. She was brought home to the family farm outside of Connell, Washington where she was raised, went to school and met her high school sweetheart and the love of her life, Robert ‘Butch” Heideman. Helen played saxophone in the school band and sang in the glee club, graduating from CHS in June 1946. Helen and Butch were married on February 22, 1948 and celebrated their life through love and faith and community involvement. Together they raised their four children, Loren, Loa, Dana and Debbie in Connell where Helen worked as a bookkeeper, a librarian and school secretary. Helen continued playing saxophone for dances and community functions, gardened, taught swimming lessons and served as a Girl Scout Leader. 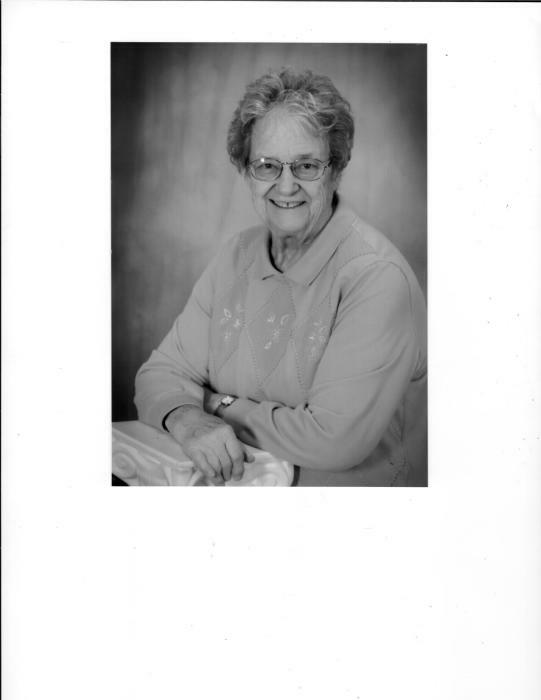 She was active for years in the Connell Grange, Jayceettes and Gideon Lutheran Church. Along with their sons, Helen and Butch purchased farm land near Ione, Oregon in 1976 and began a life of farming for generations to come. As years passed, their daughters moved to the area and established their families near Helen and Butch. Along with farming and working for Battelle at the coal fire plant near Boardman, they owned Ione Hardware Store for five years. She was active in the Ione Community Church, the Ione Cardinal Booster Club, and all things sports. She and Butch were always in attendance at Ione school sports and Helen kept books for the school basketball games. Helen supported the annual church auction through her exquisite quilt making, and became known throughout the Ione community as the “go-to” grandma for making dozens of pies each week to be sold at the concession stand and local fundraisers. Helen was preceded in death by her parents, husband, her three siblings and one great granddaughter. She is survived by her four children Loren Heideman (Della), Loa Heideman, Dana Heideman and Debbie Morgan (Virgil), nine grandchildren and 24 great grandchildren. Funeral service will be held at Thursday, May 17, 2018 at 10:30 a.m. at the Ione Community Church followed by internment at the High View Cemetery in Ione. A luncheon will be provided by the Good Neighbor Club at the Ione Community Church afterwards. Donations can be made in her memory to the Ione Cardinal Booster Club, PO Box 4, Ione, OR 97843 or to the Ione Community Church, PO Box 346, Ione, OR 97843.